Most of us put our feet up for a few days at Christmas and enjoy time with friends and loved ones. But for many people Christmas can evoke feelings of sadness and grief, as they remember someone dear who is no longer with them. Thank goodness then for the wonderful volunteers at Cruse Bereavement Care, who give freely of their time to reach out a caring hand and a listening ear to those experiencing the pain of loss. 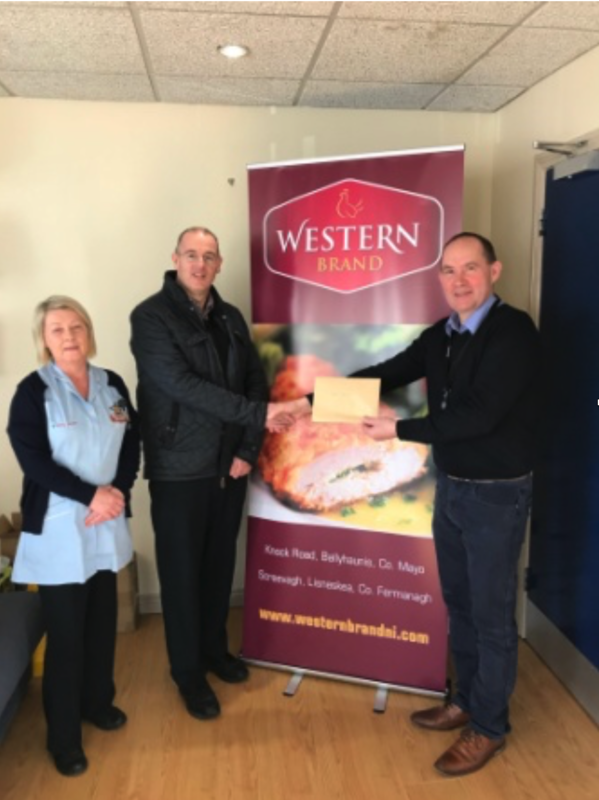 Eileen Porter and Michael Liddle presenting a cheque to Paul McLoughlin from Cruse Bereavement Care, the proceeds of Western Brand’s Christmas 2018 Raffle.